Bredevoort or Brevoort (Low Saxon) is a small city with Town privileges of about 1600 inhabitants, located in the municipality of Aalten, Netherlands. It is situated between the towns of Aalten and Winterswijk. West Low German, also known as Low Saxon is a group of Low German dialects spoken in parts of the Netherlands, northwestern Germany and southern Denmark. It is one of two groups of mutually intelligible dialects, the other being East Low German dialects. Aalten is a municipality and a village in the eastern Netherlands. The former municipalities of Bredevoort (1818) and Dinxperlo (2005) have been merged with Aalten. Bredevoort has presented itself as Bredevoort boekenstad (Bredevoort book town ), after the examples of Hay-on-Wye in Wales and Redu in Belgium. There are now more than twenty second-hand book shops in the town. Hay-on-Wye, often abbreviated to just "Hay", is a small market town and community in the historic county of Brecknockshire (Breconshire) in Wales, currently administered as part of the unitary authority of Powys. With over twenty bookshops, it is often described as "the town of books", and is both the National Book Town of Wales and the site of the annual Hay Literary Festival. In the German feudal system, a Herrschaft was the fiefdom of a lord, who in this area exercised full feudal rights. It is the equivalent of the French term seigneurie and is often translated as "lordship" in English. Dinxperlo is a town and former municipality in the eastern Netherlands, situated directly at the border with Germany. Since 1 January 2005, Dinxperlo has been part of the municipality of Aalten. Winterswijk is a municipality and a town in the eastern Netherlands. It has a population of 28,999 and is situated in the Achterhoek, which lies in the easternmost part of the province of Gelderland in the Netherlands. The name Bredevoort appears for the first time on a list of properties belonging to the archbishop of Cologne in 1188, who owned shares of the castle Bredevoort. When the count of Steinfurt tried to sell his share of the castle to the bishop of Munster and the count of Loon tried to sell his share to the count of Gelderland, a conflict broke out between the bishop and the count of Gelderland. The fight lasted for almost two centuries. 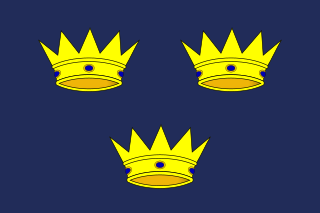 From 1326, after 4 years of battle between Reginald II, Duke of Guelders and Ludwig von Hessen (de ) the Prince-Bishopric of Münster Bredevoort was actual part of Gelderland. Between 1326 and 1697 the municipality of Bredevoort repeatedly changed ownership. The former municipality of Bredevoort was composed of the city, the castle Bredevoort, and the villages Aalten, Dinxperlo and Winterswijk. Maurice of Nassau, Prince of Orange conquered Bredevoort in the year 1597 on the Spanish occupation. The Spanish reconquered the city in 1606, but Frederick Henry, Prince of Orange liberated the garrison and citizens who had retreated in the Castle of Bredevoort. In 1646, lightning hit the gunpowder tower of the castle, causing an explosion that destroyed parts of the castle and the town, killing Lord Haersolte of Bredevoort and his family, as well as others. Only one son, Anthonie, who was not home that day, survived. In the rampjaar ("disaster year") 1672 Bernhard von Galen reconquered the city and occupied city and herrschaft for almost two years. In 1697 received William III of England the city and herrschaft from the States of Gelderland. From that day until 1795 the city and herrschaft was a personal belonging to the House of Orange-Nassau. King Willem-Alexander of the Netherlands is still Lord of Bredevoort. After centuries of war, its fortifications were demolished by its inhabitants. In 1818, the municipality of Bredevoort was dissolved to become part of the city Bredevoort under the newly formed municipality Aalten. Reginald II of Guelders, called "the Black", was Count of Guelders, and from 1339 onwards Duke of Guelders, and Zutphen, in the Low Countries, from 1326 to 1343. He was the son of Reginald I of Guelders and Marguerite of Flanders. The Bishopric of Münster or Prince-Bishopric of Münster was an ecclesiastical principality in the Holy Roman Empire, located in the northern part of today's North Rhine-Westphalia and western Lower Saxony. From the sixteenth to the eighteenth centuries, it was often held in personal union with one or more of the nearby ecclesiastical principalities of Cologne, Paderborn, Osnabrück, Hildesheim, and Liège. The Siege of Bredevoort in 1597 was a siege of Bredevoort by the military forces led by Maurice of Nassau, Prince of Orange, during the Eighty Years War and the Anglo-Spanish War. The siege lasted from 1 October until 9 October; after that day Bredevoort was occupied by the besiegers. The siege was part of a campaign which Maurice conquered the cities Turnhout, Alphen, Rijnberk, Meurs, Bredevoort, Groenlo, Goor, Enschede, Oldenzaal, Ootmarsum and Lingen. A church building or church house, often simply called a church, is a building used for Christian religious activities, particularly for Christian worship services. The term is often used by Christians to refer to the physical buildings where they worship, but it is sometimes used to refer to buildings of other religions. In traditional Christian architecture, the church is often arranged in the shape of a Christian cross. When viewed from plan view the longest part of a cross is represented by the aisle and the junction of the cross is located at the altar area. Aalten railway station is the nearest station. There is a half-hourly service between Arnhem and Winterswijk, which stops at this station. Arnhem railway station has half-hourly (or more) services to Amsterdam, Utrecht, Nijmegen, 's-Hertogenbosch, Breda, Tilburg and Alkmaar. If you travel to Winterswijk, you can then change onto a connecting train to Zutphen. From Zutphen you can travel to Apeldoorn, Dieren, Hengelo, Deventer and Zwolle. To get to the station you can use bus service 191, which travels from Aalten station to Bredevoort and Lichtenvoorde. Arnhem is a city and municipality situated in the eastern part of the Netherlands. It is the capital of the province of Gelderland and located on both banks of the rivers Nederrijn and Sint-Jansbeek, which was the source of the city's development. Arnhem had a population of 156,600 in 2017 and is one of the larger cities of the Netherlands. 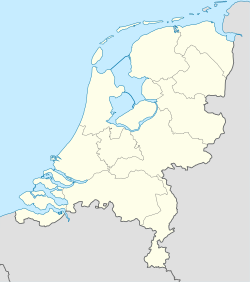 The municipality is part of the Arnhem-Nijmegen Metropolitan Area which has a combined 736,500 inhabitants. Zutphen is a city and municipality located in the province of Gelderland, Netherlands. It lies some 30 km northeast of Arnhem, on the eastern bank of the river IJssel at the point where it is joined by the Berkel. First mentioned in the 11th century, the place-name appears to mean "south fen". In 2005, the municipality of Zutphen was merged with the municipality of Warnsveld, retaining its name. In 2017, the municipality had a population of 47,423. Buren is a town and municipality in the Betuwe region of the Netherlands. The name originated from the word the Dutch word “buren”, which means neighbour. Doetinchem is a city and municipality in the east of the Netherlands. It is situated along the Oude IJssel river in a part of the province of Gelderland called the Achterhoek. The municipality had a population of 57,292 in 2017 and consists of an area of 79.66 km2 (30.76 sq mi) of which 0.60 km2 (0.23 sq mi) is water. This makes Doetinchem the largest town in the Achterhoek. Lochem is a municipality and a city in the eastern Netherlands. On 1 January 2005, the municipality merged with the municipality of Gorssel. Ruurlo is a town and former municipality in the province of Gelderland in the eastern part of the Netherlands. In 2004 it had a population of 8,676. Bronkhorst is a village in the municipality of Bronckhorst, Gelderland, the Netherlands. Technically, it is a city and with only 157 inhabitants (2010), it is one of the smallest cities in the Netherlands. Terborg is a small city in the Dutch province of Gelderland, in the Achterhoek region in the east of the Netherlands. It is located in the municipality of Oude IJsselstreek. The city lies about 7 km southeast of Doetinchem. The population is about 4600 inhabitants. De Heurne is a village in the municipality of Aalten, near Dinxperlo, Province of Gelderland, in the east of the [Netherlands]]. The smock mill at the Netherlands Open Air Museum, Arnhem, Gelderland, Netherlands was originally built at Noordlaren, Groningen, Netherlands in 1862. It was dismantled in 1953 and re-erected at the museum in 1960. The mill has been restored to working order. De Prins van Oranje is a tower mill in Bredevoort, Gelderland, Netherlands which was built in 1870 and has beem restored to working order. The mill is listed as a Rijksmonument. De Prins van Oranje is a tower mill in Buren, Gelderland, Netherlands which was built in 1716 and has been restored to working order. The mill is listed as a Rijksmonument. Wikimedia Commons has media related to Bredevoort .